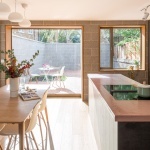 A bold and unusual extension to a Victorian end-of-terrace house in Stoke Newington. 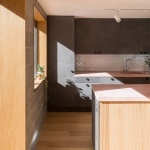 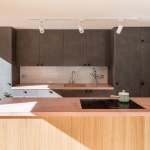 Focused around a double-height internal courtyard; the project employs a palette of richly coloured and textured materials to create a unique and unusual family home. 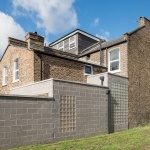 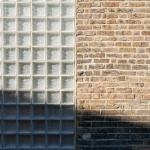 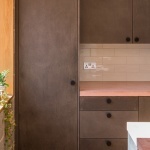 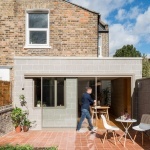 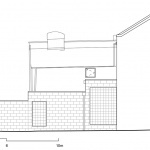 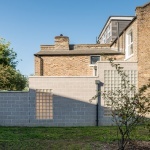 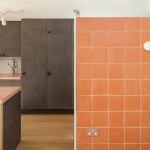 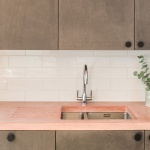 nimtim were approached by a young family who had recently bought an end-of-terrace Victorian house in Stoke Newington. 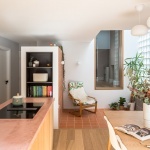 The house was in a state of disrepair and priority was placed on upgrading and creating an open plan ground floor family space. 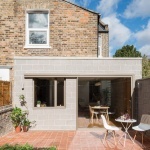 The existing lean-to conservatory was demolished to allow for a new side extension. 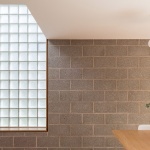 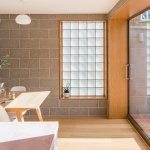 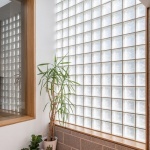 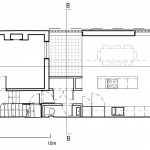 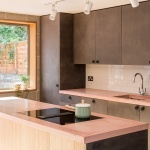 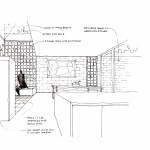 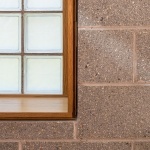 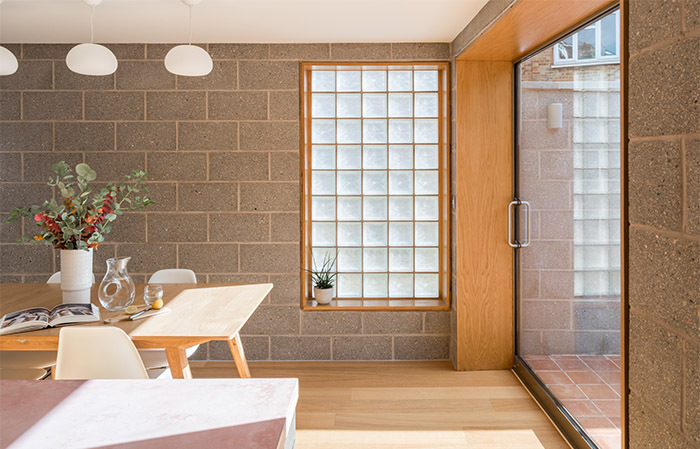 Nimtim introduced a double height internal courtyard to the centre of the house with a glass block wall to one side and an opening rooflight above. 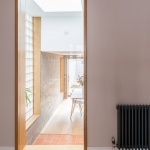 This space acts as a focal point for the entire house, organising and choreographing the spaces around it: bringing light and ventilation to the parts of the house that might otherwise be dark and airless. 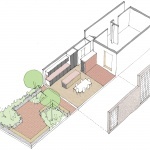 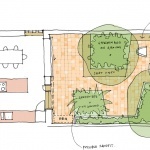 The courtyard is expressed differently; borrowing materials from the garden to distinguish it from the living spaces, reinforcing it’s identity as a conceptually external space.